It's almost Christmas, my favourite season of the year! 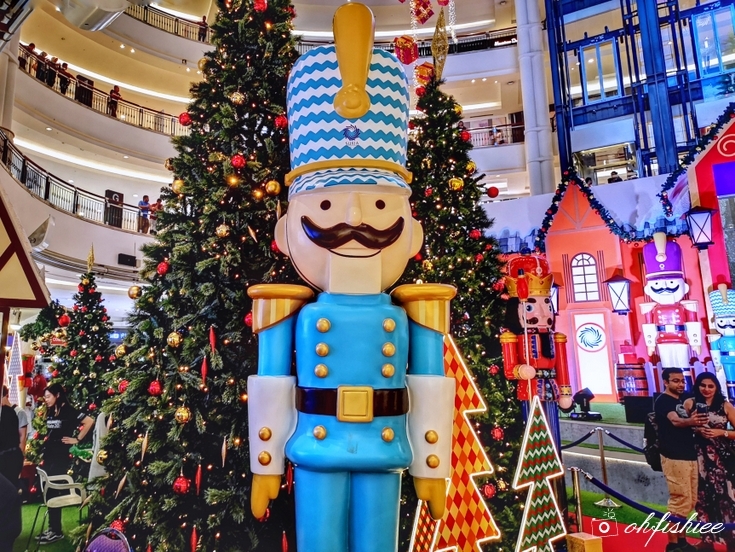 Think about the snowy Christmas tree adorned with bells and gift boxes, colorful Nutcracker guards, and a feast of turkey, cookies and log cakes; how can I not love such a jolly holiday season? 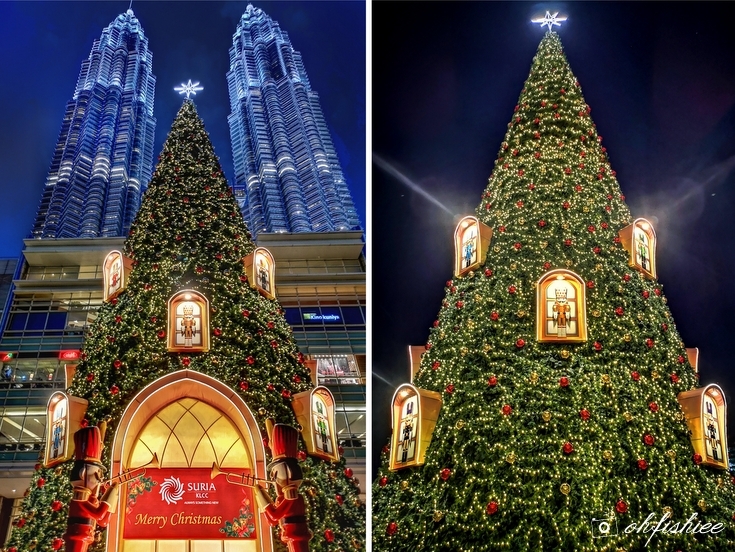 This year's Christmas is even more special because we have Malaysia's tallest Christmas Tree Replica in town, right at the Esplanade area of Suria KLCC! 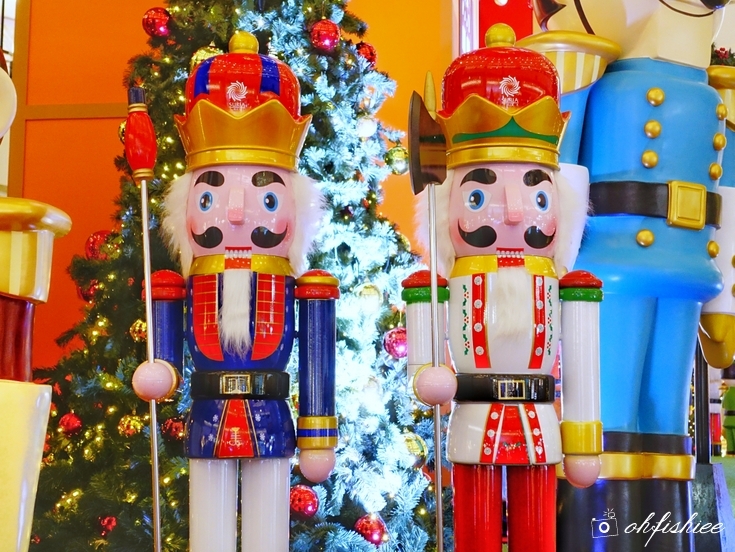 It is guarded by two giant 15-foot Nutcracker Guards. How magnificent the view is! 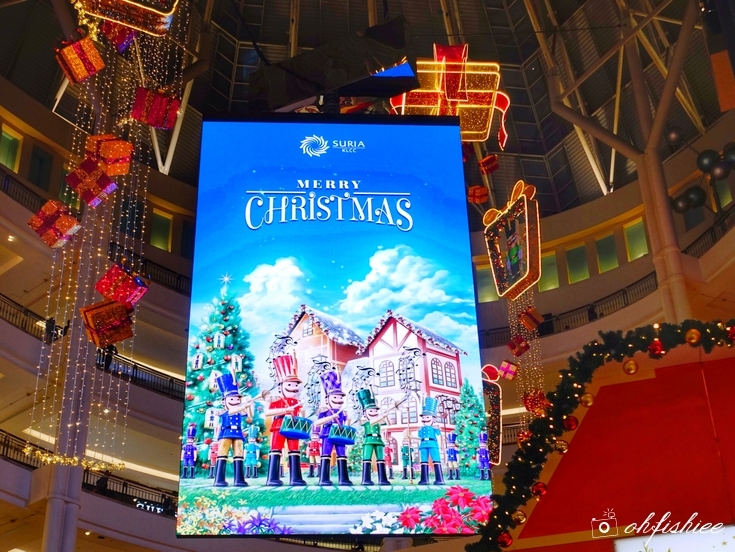 As soon as I enter into Suria KLCC, it feels like I have been transported to a whimsical Christmas wonderland because everything feels so magical here. 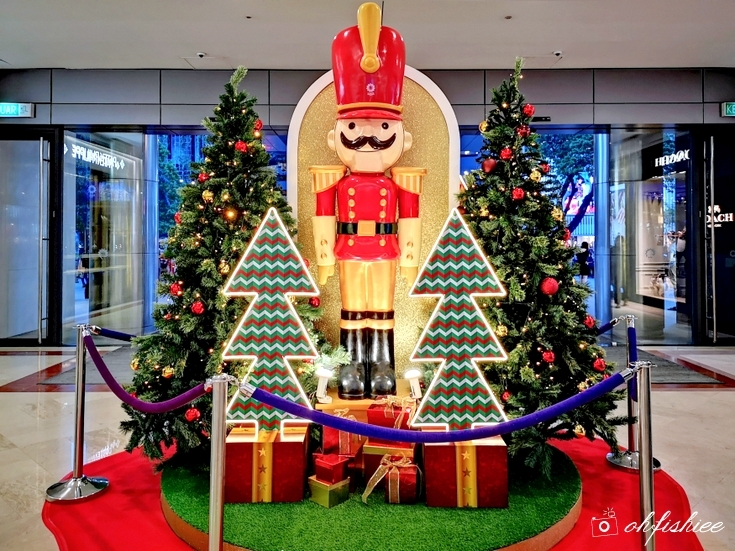 The decors at each of the entrances to the mall are worth a picture or two, aren't they? 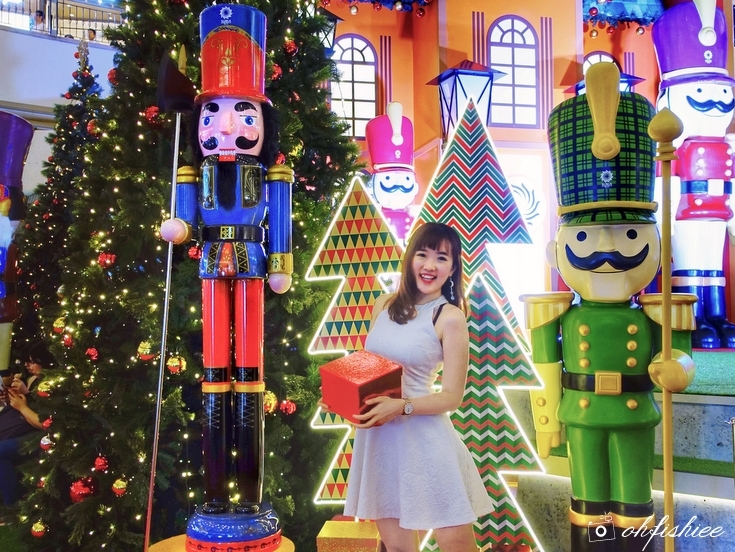 But the most beautiful Christmas decor is of course at the stage area where the colorful Nutcracker army steals the show, along with a breathtaking poinsettia floral set-up surrounded by ribbons of colourful lights and snow laden Christmas tree. 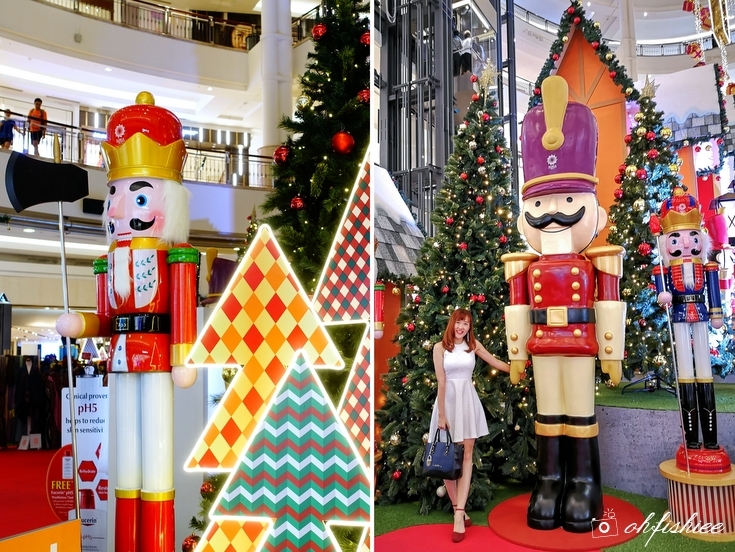 Taking a closer look at the nutcrackers, thumbs up Suria KLCC for the beautiful details and colorful vibes! 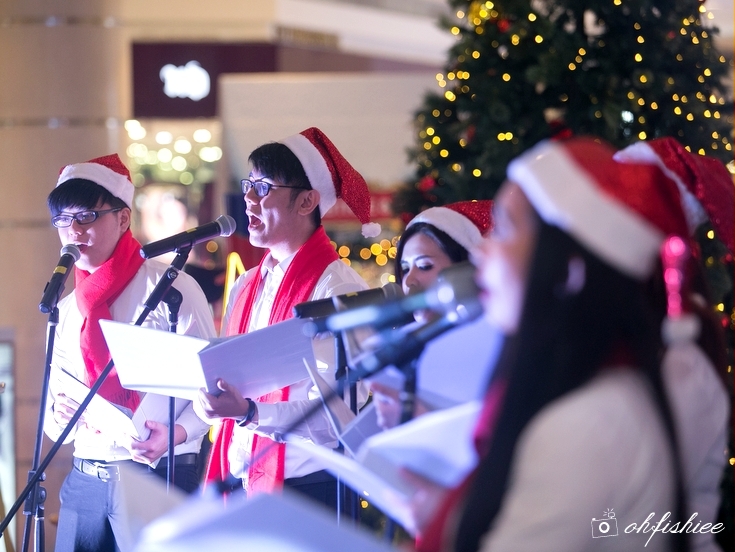 Now let me share the joy and happiness of this festivity at the mall's Christmas launch event with you guys! So happy to meet Santa Claus here! He will be having greet and meet sessions with the children throughout this festive period. 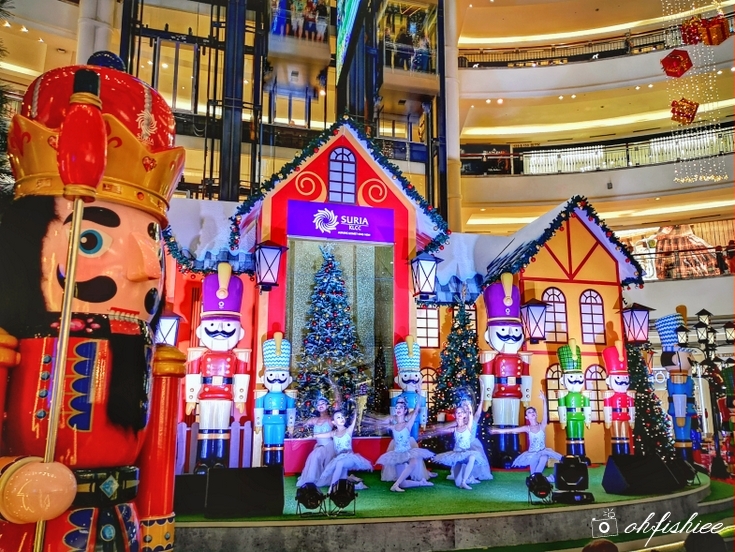 Not only that, you can enjoy a lively array of performances including ballet, a marching band and Christmas caroling in Suria KLCC too. 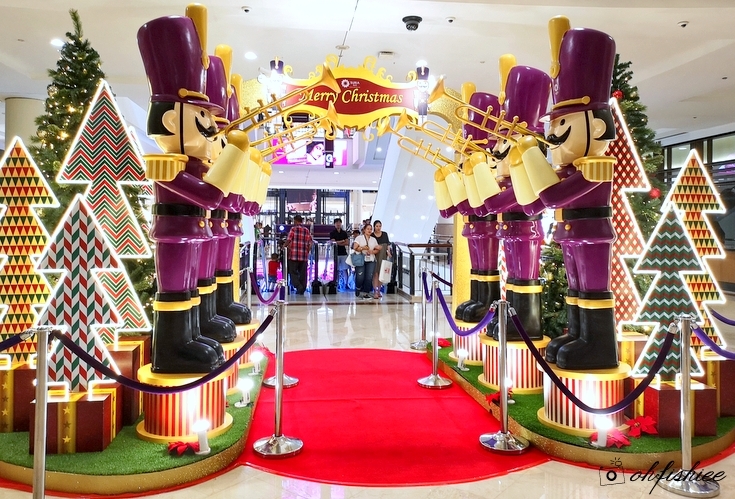 If you don't want to miss them out, be sure to check the schedule at http://bit.ly/WhimsicalChristmasPerformances and mark your calendar! What's Christmas without the tradition of gifting? 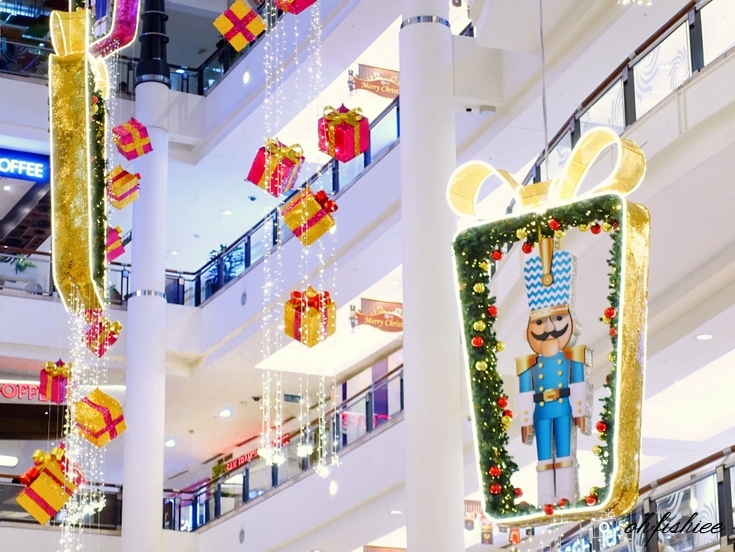 It's time to shop and get rewarded this Christmas. 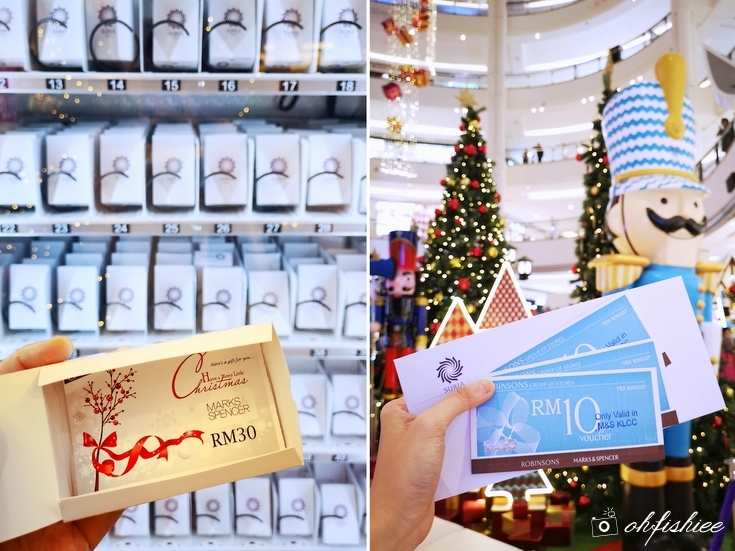 ❤ The first 30 Citibank Visa cardholders who spend a minimum of RM1,000 in a single receipt daily will receive a mystery gift and Suria KLCC parking ticket worth RM10. ❤ For purchases of RM3,500 and above in a maximum of 2 receipts, shoppers will receive a special L'Occitane gift set*. ❤ Receive a mystery gift when you spend RM1,000 and above in a single receipt. ❤ The first 30 shoppers who spend RM3,500 and above in a single receipt on weekends will receive a special L'Occitane gift set. Yeay, I have just won myself a RM30 Marks and Spencer voucher! 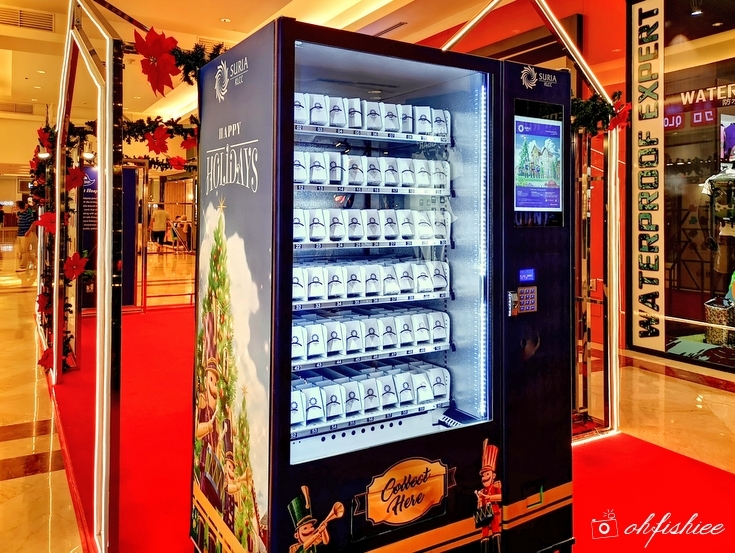 To make your Christmas shopping even more rewarding, 5 lucky winners will walk away with a piece of jewellery from De Beers upon spending of RM3,500 and above on Friday, Saturday or Sunday. *Contest opens to both Citibank and Non-Citibank customers. A Secret Santa will be giving out mystery gift to lucky shoppers too, so do look out for that! Shop before the campaign ends on 25 December 2018 ya. As we celebrate this festivity with joy and excitement, let's not forget about the less fortunate. 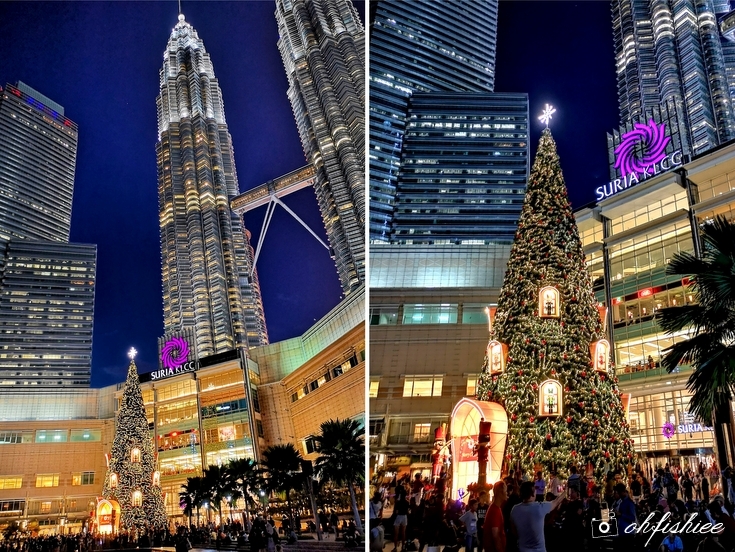 Did you notice 10 "Cik Gajah", life-size baby elephant sculptures at 3 different locations in Suria KLCC? It is the mascot of the "Speak Up - There's an Elephant in the Room" campaign organised by Suria KLCC in collaboration with Hospis Malaysia to create awareness and seek our support towards palliative care program that improves the quality of life for the life-limiting illness patients. 2. Kids can get a face or hand painting with a donation of RM15. *All proceeds go to Hospis. 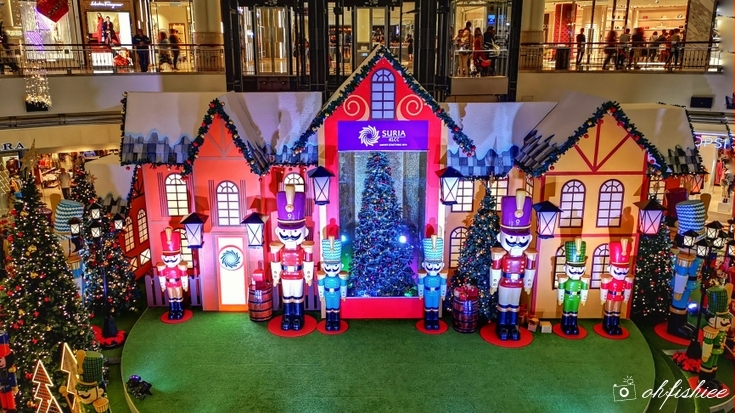 Hop over to Suria KLCC to experience a magical Christmas with your family and friends!